Summer may be fading into memory, but it was still warm enough last weekend to enjoy Locations French Rosé. Last week we tasted and wrote about the New Zealand Sauvignon Blanc. This bottle’s label was even less informative; merely describing the wine as French Rosé. The colour was an intense rose hue. The nose was rich and full with notes of strawberry underpinned by floral notes. Taking a sip, I found a crisp acidity in an off-dry wine with a subtle blend of vanilla, strawberry, and sea salt. I enjoyed this as a fine example of a refreshing, but not overly simple Rosé. California Girl’s response was less positive. It was not a reaction that works well for a blog, as it was entirely non-verbal. Her face screwed up as she had just tasted something deeply unpleasant. Our guest from the UK found it syrupy, so on balance, this wine gets a thumbs-down. 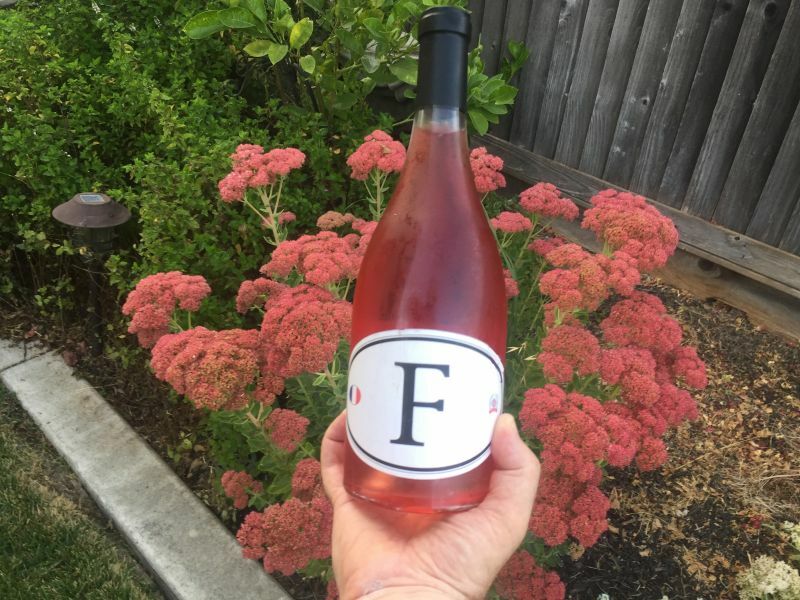 The Locations French Rosé is made from 100% Grenache grown in a vineyard in the South of France. Planted in granite soil the fifty-year-old dry vibes are dry farmed. The recommended selling price for the wine is $18.99. have not seen this one before!